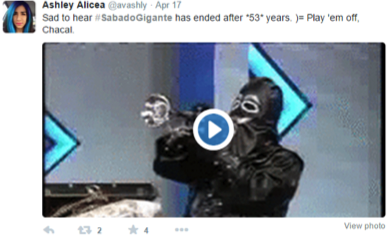 For 53 years, millions of Latino families have tuned in each Saturday night to watch Sábado Gigante, hosted by the emblematic Don Francisco. 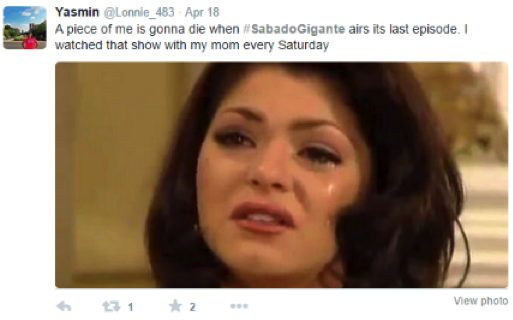 But over the weekend, Univision announced that on September 19 it would air the final episode. 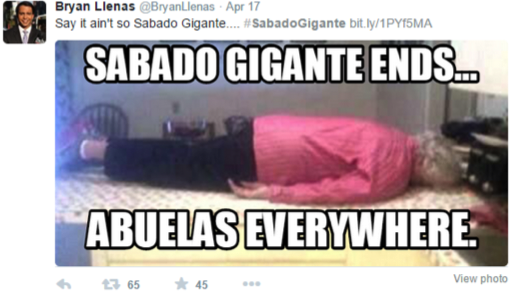 The AP reports that Sábado Gigante boasted an average 2.2 million viewers each week, making it number one on Saturday nights among Hispanics in the U.S. So why call it quits? “It’s time to end this story with dignity at the best level” explained Mario Kreutzberger, better known as Don Francisco, in an emotional opening delivered amidst an almost deafening standing ovation. 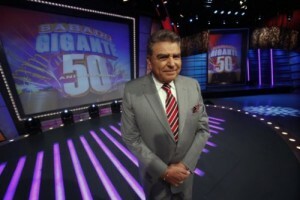 In his opening, Don Francisco called for celebration considering that “Sábado Gigante” had grown to become a household name throughout two entire continents. He also acknowledged that times are changing, a nod to the show’s struggle to stay relevant among younger viewers. 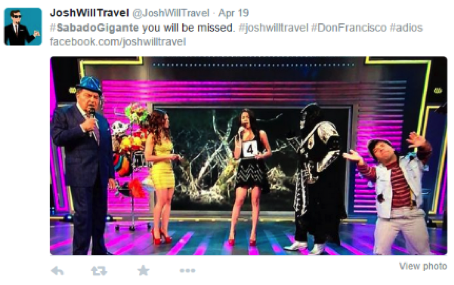 While Don Francisco might have been present in every Latino TV set, he was just a fond memory to younger generations who consume entertainment online. 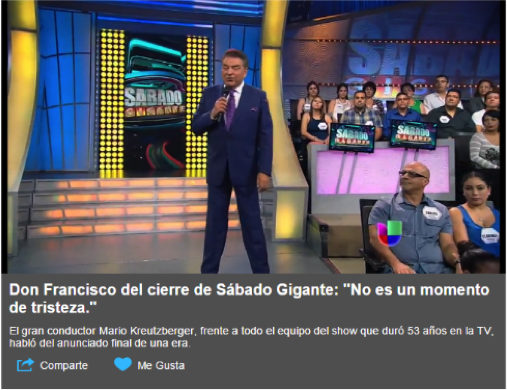 Regardless of the challenges, the show’s end became an instant case study of how Univision orchestrated a flawless announcement. First the network teased the announcement on Friday, creating buzz and speculation, with the call for audiences to tune in Saturday night to find out why. Then Don Francisco delivered the news like only he could – with respect, reverence, and humor – that tied the show’s 53-year run with the rise of Latino influence and power. Just last month, we told you about Don Francisco being honored at Hispanicize with the Latinovator award for his contributions to Latino culture. At Hispanicize, he spoke of perseverance as the key to success, and the importance of communication in building community.